One of the greatest confidence tricks in alternative medicine is the way that chiropractors have managed to convince even people who should know better that the profession is some legitimate form of medicine and has thrown off its history. One area in which they have supposedly entered the real world is that they now officially support vaccination, unlike the position in the past which saw chiropractors as the leading form of opposition from any area of alternative medicine with a veneer of respectability. To understand why chiropractors would oppose vaccination, it is on a simple risk/benefit ratio. As the basic tenet of chiropractic is that all disorders of the human body are caused by restricted flow of vital energy through the spine there can be no place for bacteria or viruses in the etiology of disease. Because vaccination carries some risk but offers no protection against misalignment of the spine there is no benefit, so there can be no justification for doing it. No germs, no need to protect against germs. Oh, chiropractors will pretend that they support vaccination, but it is lip service only. I've been at a trade show where the professional society for chiropractors was handing out blatantly anti-vaccination material, but when challenged it was all weasel words and "we think parents should have a choice". Here is a sample of the pamphlets being distributed by the representatives of chiropractic. 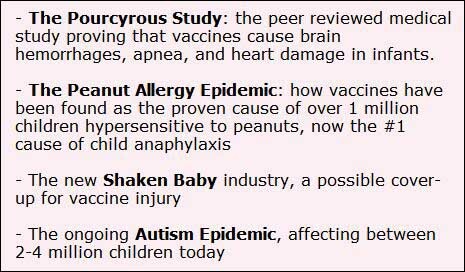 They come from material produced by Tedd Koren, a US chiropractor whose business is producing and selling bulk copies of anti-vaccination lies to other chiropractors. I've been told that the Chiropractors' Association of Australia doesn't set the rules for what chiropractors can say or do, this is the responsibility of the Chiropractic Board of Australia, so I thought I would have a look to see what the Board had to say about vaccination. I have been assured that there is strong advocacy for vaccination in the rules and requirements that this national regulatory body applies to chiropractors. A good place to start would seem to be the Board's Code of Conduct for Chiropractors, somewhere I have been assured I will find support for vaccination. A search of the document for the words "vaccine", "vaccines", "vaccination" and "immunise" produced no results, but "immunisation" returned a single mention. 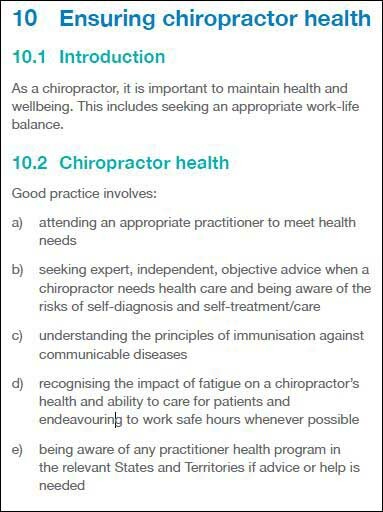 Under the section related to the health of chiropractors it states that good practice involves "understanding the principles of immunisation against communicable diseases". Note that it doesn't say that chiropractors should be vaccinated themselves or recommend it to their clients, only that they need to understand the principles. What these principles are when filtered through the fog of nonsense making up the theoretical base of chiropractic is something that is difficult to quantify. Section 10.2 c) picks out a seemingly random aspect of public health policy. Immunisation is not a central aspect of chiropractic practice. Vaccination does not guarantee immunisation. Mandating an "understanding" of the "principles of immunisation against communicable diseases" is a simplistic requirement that will be considered by most of the chiropractic profession as a direct insult towards the right of free will and informed choice. In light of recent safety concerns, hospitalisations and deaths from influenza vaccination a government regulatory body may wish to consider the wisdom of this subsection. The issue of vaccination requires consideration of complicated variables, including the virulence of the disease in question, the evidence (or lack thereof) of safety and efficacy of the vaccine in question, the individual health status of the patient and the environmental/geomedical context in which the vaccine is being considered. This seems a rather clear indication that a significant proportion of the chiropractic community oppose even any mention of vaccination by chiropractors, but as I pointed out above it doesn't really mean anything in the context of the Code of Conduct because the Code doesn't suggest that chiropractors should support vaccination. The College refers the Board to its previous submission in this regard. It is assumed that the Code of Conduct for Registered Health Practitioners was intended to apply to all health practitioners, including chiropractors. As previously stated this code of conduct emphasises that as part of good practice, practitioners have a responsibility to promote the health of the community, through disease prevention and control and education. The code also suggests that practitioners put aside their own personal beliefs and values, when they conflict with professional values, such as health promotion and disease prevention and that they understand the principles of immunisation against communicable diseases and be immunised against relevant communicable diseases. The current draft code of conduct does not contain the recommendation for chiropractors to be immunised against relevant communicable diseases. However, a review of the codes and guidelines of the various health practitioner boards indicates that, with the exception of the Psychology Board of Australia, the six other Boards, who have issued codes of conduct for their professions, suggest that good practice involves not only understanding the principles of immunisation against communicable diseases but also for practitioners to be immunised against relevant communicable diseases. Given that most other boards have adopted this sensible and accountable approach to immunisation, the College would be grateful if the Board would provide the rationale it employed to justify its position in this regard. There is clear scientific consensus in favour of mass vaccination as a safe and cost effective public health intervention. Most State and Territory Governments, in line with recommendations form the National Health and Medical Council of Australia, (1) either require or recommend that health care workers who are in contact with their patients be immunised against relevant communicable diseases. This consensus is reflected in the strong pro-vaccination policies adopted by the United Nations, the Victorian and Australian Governments and governments of most other developed countries. The College can only restate its view, that the Board include in its code of conduct, reference to the need for chiropractors to set aside any anti-vaccination beliefs they have, in favour of the promotion of health and disease prevention through vaccination and to be immunised against relevant communicable diseases. a) That chiropractors should ensure that any information they provide to patients accurately reflects the contemporary scientific evidence in favour of vaccination and that the Victorian and Australian governments have in place pro-vaccination policies. b) That when any information is provided to patients regarding any side-effects or negative impacts of vaccination that the information is balanced in content, reflects the current scientific research in this area and is not provided outside its appropriate context. c) That the display of posters, pamphlets or other written material is balanced in content and reflects the current scientific research in this area. d) That, unless the practitioner has appropriate training in this field, when asked by a patient or the public to comment on or provide information on vaccination or immunisation, that the patient or public be referred to other health professionals with more extensive knowledge and training in this field. e) That practitioners should be immunised against all relevant communicable diseases. None of those recommendations made it into the final form of the Code of Conduct. Another reference is to a document titled "FAQ on Advertising Issues", which, in a section headed "Can I say I am better than another practitioner?" contains the advice "The Board also considers that it is inappropriate to advertise that a health service is an effective substitute for immunisation or vaccination". This is just a restating of the content of another document, "Guidelines for advertising of regulated health services", which is itself based on the guidelines for all regulated health professions. It's good that chiropractors should not advertise that they provide magical or miraculous cures. 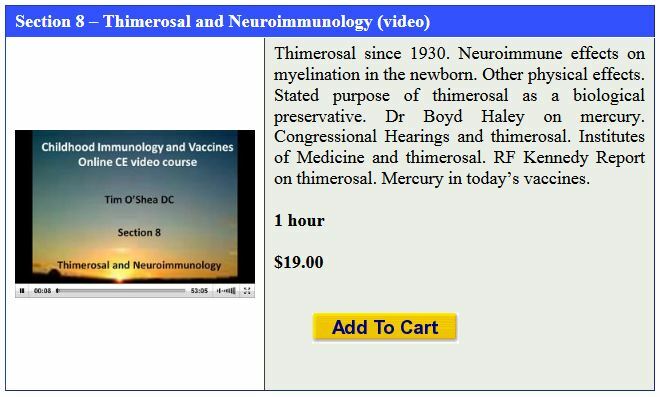 The Doctor Within is a web site providing ongoing education for chiropractors, so I assume the approved training is the 8-hour video course about vaccinations. If lying were to be included as an Olympic sport, Tim O'Shea would be subjected to drug tests to find out how he managed to lap the field. The Chiropractors' Association of Australia, the professional body for the discipline, is opposed to vaccination. 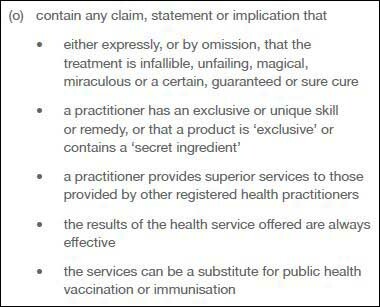 The Chiropractic Board of Australia, the overseeing regulatory body, only mentions immunisation once in its Code of Conduct, and that is to give a vacuous suggestion that chiropractors should be aware of immunisation. The Chiropractic & Osteopathic College of Australasia, another professional body, suggested to the Board that the Code of Conduct should require chiropractors to support vaccination as a public health issue and be vaccinated themselves. These recommendations were ignored by the Board. 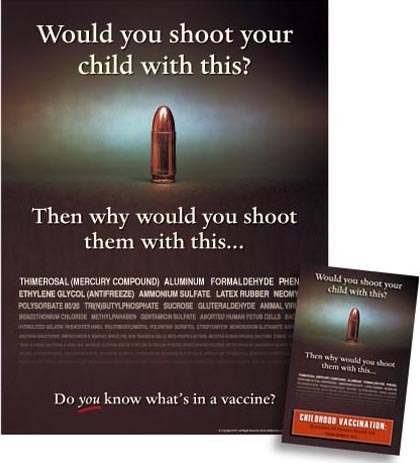 The Board says that chiropractors should not deny the value of vaccines in their advertising. Recommended professional education about vaccination is provided by someone who tells the same lies we have been hearing from anti-vaccination liars for years. Now, tell me again how the Chiropractic Board of Australia supports vaccination and chiropractors have moved away from their historical position on the germ theory of disease and are now becoming something like a real medical profession worthy of respect. Like the title says - "Chiropractic - quackery to the core". To quote a famous religious work: "As it was in the beginning, is now, and ever shall be".